As if it weren’t bad enough that they are replacing workers here on Earth, now they are being designed to replace us in space! At least, that’s the general idea behind Google and NASA’s collaborative effort to make SPHERES (Synchronized Position Hold, Engage, Reorient, Experimental Satellites). As the name suggests, these robots are spherical, floating machines that use small CO2 thrusters to move about and performing chores usually done by astronauts. 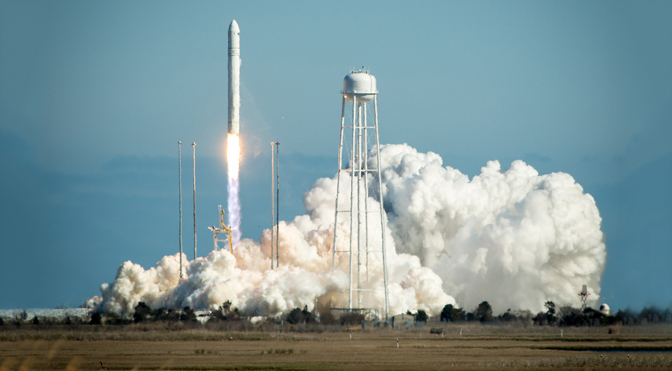 Earlier this month, NASA announced it’s plan to launch some SPHERES aboard an unmanned Cygnus spacecraft to the International Space Station to begin testing. That launch took place on July 11th, and the testing has since begun. Powered by Tango, Google’s prototype smartphone that comes with 3D sensors that map the environment around them, the three satellites were used to perform routine tasks. NASA has sent SPHERES to the ISS before, but all they could really do was move around using their small CO2 thruster. With the addition of a Tango “brain” though, the hope is that the robots will actually be able to assist astronauts on some tasks, or even completely carry out some mundane chores. In addition, the mission is to prepare the robots for long-term use and harmonized them to the ISS’ environment. This will consist of the ISS astronauts testing SPHERES ability to fly around and dock themselves to recharge (since their batteries only last 90 minutes), and use the Tango phones to map the Space Station three-dimensionally. This data will be fed into the robots so they have a baseline for their flight patterns. The smartphones will be attached to the robots for future imaging tasks, and they will help with mathematical calculations and transmitting a Wi-Fi signal. In true science fiction fashion, the SPHERES project began in 2000 after MIT professor David W. Miller was inspired by the “Star Wars” scene where Luke Skywalker is being trained in handling a lightsaber by a small flying robot. Miller asked his students to create a similar robot for the aerospace Industry. Their creations were then sent to the ISS in 2006, where they have been ever since. 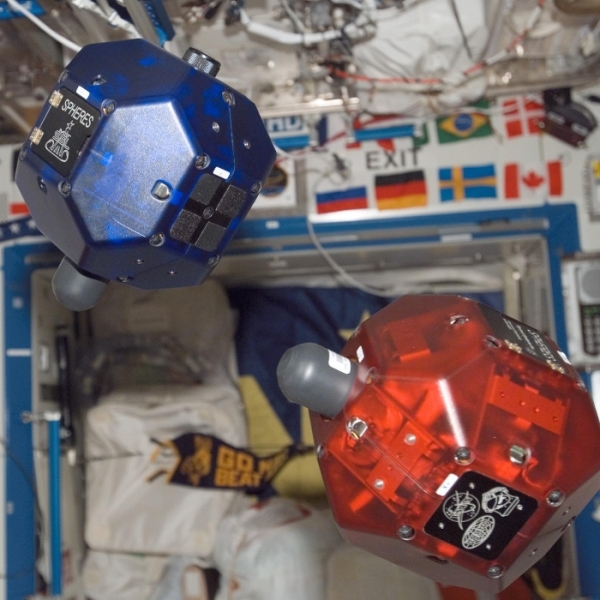 As these early SPHERES aren’t equipped with tools, they will mostly just fly around the ISS, testing out their software. The eventual goal is to have a fleet of these robots flying around in formation, fixing things, docking with and moving things about, and autonomously looking for misplaced items. If SPHERES can also perform EVAs (extra-vehicular activity, space walks), then the risk of being an astronaut would be significantly reduced. We wanted to add communication, a camera, increase the processing capability, accelerometers and other sensors [to the SPHERES]. As we were scratching our heads thinking about what to do, we realized the answer was in our hands. Let’s just use smartphones. The SPHERES system is currently planned to be in use on the ISS until at least 2017. Combined with NASA’s Robonaut, there are some fears that this is the beginning of a trend where astronauts are replaced entirely by robots. But considering how long it would take to visit a nearby star, maybe that’s not such a bad thing. At least until all of the necessary terraforming have been carried out in advance of the settlers. Hey, I know those things! They appeared in the series 3 finale of Doctor Who! You know what that means. Uh, then it’s extremely relevant? Or… I need to see that post-haste? It means that science often gets great ideas from science fiction. Besides, I seriously doubt those little spheres are the Troclofanes. And if you do get to the end of Series 3, let me know. Also, am I talking about DW or the end of the world too much? Am I starting to sound like a broken record? I hope that’s a good thing.